Fishing around Anna Maria Island is following its typical wintertime pattern. When the seas are calm, it’s wise to venture out into the Gulf of Mexico for snappers, groupers and hogfish. When the wind blows, and the Gulf is too rough, it’s time to target sheepshead, black drum and redfish around inshore reefs, bridges, docks and canals. On my Southernaire excursions, we are watching the wind patterns. 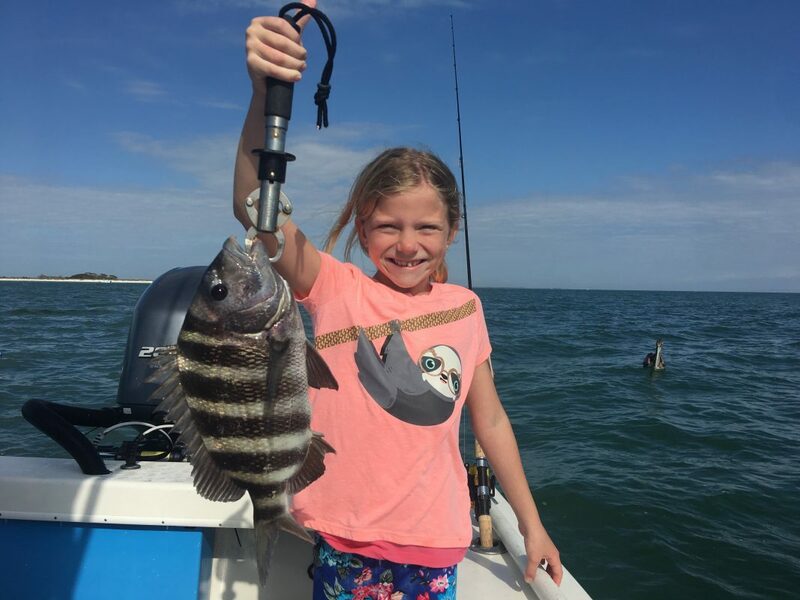 The sheepshead bite is on the upward swing as water temps are settling into the lower 60s. Using live shrimp as bait, combined with a knocker rig is working well. Using this combination around rock piles, wrecks, docks and other structure is yielding good amounts of sheepies. While fishing reefs and wrecks, I’m seeing quite a few mangrove snapper. Black drum and catch-and-release redfish are also being caught, especially around residential docks and canals. This type of fishing is always good to do on cold, windy mornings when getting around in open water is less than comfortable. And, as a bonus, I’m catching a few catch-and-release snook and an occasional flounder in the process.